Social media has integrated it's way into every aspect of our daily life. With that in mind, it's only fair to assume that it has it's drawbacks. One of the increasing pitfalls of social media is the fact that organizations are monitoring current and future employees accounts much more closely. 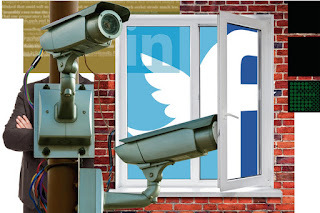 It's becoming routine to analyze applicants social media activity for a background check. 37% of America's companies are monitoring social media networks to research job candidates. Honestly, I think that's definitely low-balled. Monitoring social media can consist of someone looking up your Facebook profile on their lunch break. Organizations want to make sure they are investing in someone with a good personality. Someone who will represent them well is an important factor. Organizations are not interested in applicants who are "party animals", or someone who likes to stir the political pot everyday. I understand you are allowed to voice your opinions, but censoring your content can be helpful in the long-run. Always remember the golden rule of social media: if knowing your grandma saw it would make you shamefully blush, your better off not posting it. Companies first assess your social media activity by seeing if there is anything inappropriate. If you pass that test, then they monitor the quality of your activity. If you are applying for a writing position, it's probably a bad idea to post tweets containing "u", "dat", "y", or any abbreviated words that would showcase you as having poor English skills. This concept should be applied to all of your social media activity. If you are applying for a position with a sports team, share relevant information that ensures you are knowledgeable about the topic. 3. 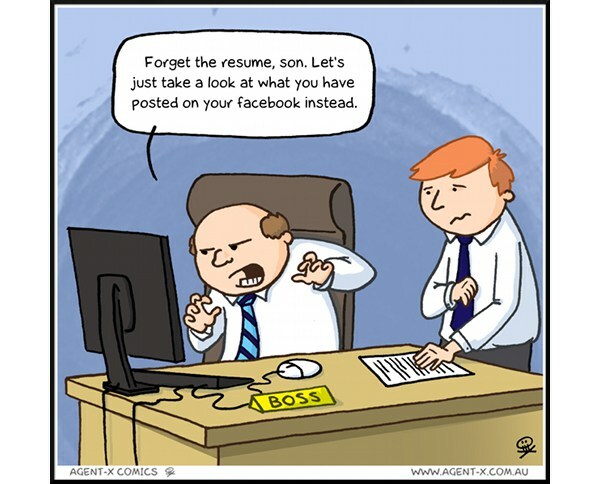 Keep your profile updated in a professional manner, especially LinkedIn. Companies want to see you as a professional person with passion. They can also receive valuable information from your social media accounts. Past jobs, skills, or achievements can improve your profiles. Employees will notice this and take you as a serious professional who cares about their work. LinkedIn is awesome because it sets you up for success. Employees know to check this website to get a read on what kind of experiences you have had. This is your chance to put your best foot forward and essentially brag about how awesome you are.